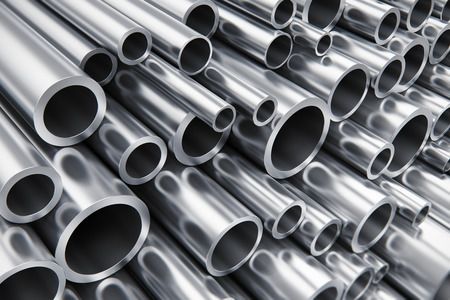 Super Invar is a low expansion alloy that is made up of about 32 percent nickel, roughly 5 percent cobalt, balance iron, and trace amounts of other metals and minerals like copper, aluminum, and manganese. It has been heralded because of its ability to demonstrate minimal thermal expansion at room temperature. It also exhibits fewer thermal expansion properties at higher temperatures than Invar. This has made Super Invar a useful alloy for those putting together instruments that call for precise measurements. There are many practical applications for Super Invar at this time. You will often find Super Invar used in telescopes, ring laser gyroscopes, optical instruments, laser instruments, laser benches, and more. It’s also found a home in many metrology devices and positioning devices as well as in the substrates in other instrument systems. Super Invar is available in a handful of forms for those interested in incorporating it into their products. You can find Super Invar rods, sheets, and plates in a variety of different sizes. Super Invar can also be easily formed and welded when a special Super Invar weld wire is used. Additionally, Super Invar can be machined, though it can be challenging to do it because of the “gummy” properties of the alloy. When machining Super Invar, it’s a good idea to use tools that are very sharp and to rely on a coolant to eliminate as much heat as you possibly can. Do you think your business could benefit from using Super Invar? Eagle Alloys can teach you more about the properties of Super Invar to give you a better understanding of it. Call us at 800-237-9012 today to speak with someone about Super Invar.